How Do We Power Our People? We have a problem; a huge, gargantuan problem. It would be easy to paint this problem as insurmountable, but we must not do that. Last month, as a continuation of the climate change mitigation theme I have been considering of late, I started to research and write about the potential for nuclear energy to be … Continue reading How Do We Power Our People? We talk a lot about junk on this blog. Mostly, we're discussing possessions and meaningless commodities - "stuff" that we accumulate that we really don't need. Y'know what else you don't need though? Junk FOOD! 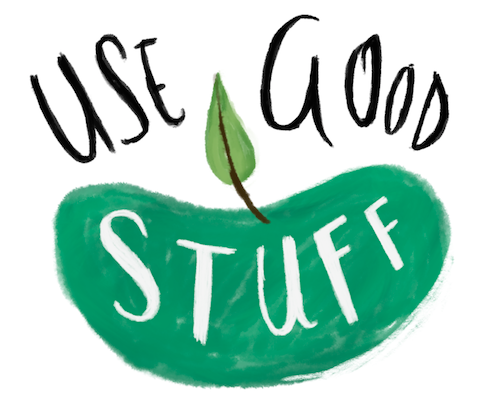 This year, Use Good Stuff is getting behind Junk Free June, a campaign all about giving up junk food while … Continue reading Junk Free June! Hey everyone! Phew, one year has absolutely flown by- Happy birthday, us! I realise that you guys have had A LOT to process, and I thought that the best thing to do at this stage is to do a recap: The top 5 ways to reduce your waste. Easy steps and switches to make the … Continue reading Poppy’s Top 5 Tips!